The HALO platform captures data events from every connected sensor across a retailer’s supply chain. This data is then stored, processed and analysed in near real-time to deliver targeted, actionable insights viewed via the HALO portal and intelligent actions delivered directly to associates’ mobile devices. This enables users to view relevant key events, make well-informed decisions and drive tasks that will improve processes and increase performance. Organisational tasks and mobile task alerts can be generated automatically, using machine learning and artificial intelligence, or by manual input. Why is HALO different from other software platforms? Checkpoint is a vertically integrated supplier of loss prevention, electronic article surveillance, IoT hardware and software products. Checkpoint understands the complex challenges faced by its retail customers. 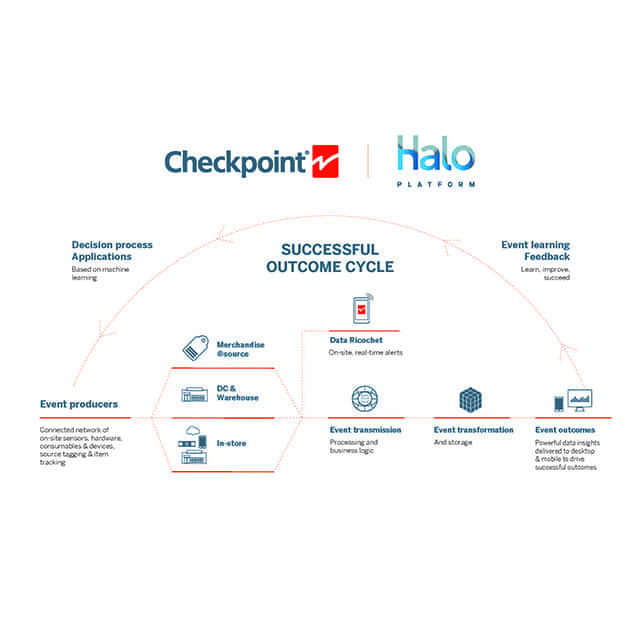 Checkpoint provides a range of intelligent retail solutions and the ingenious HALO platform that can track and protect all types of consumer goods. Supported by one of the world’s leading cloud providers, Microsoft Azure, these solution sets are easy to implement, easy to use, scalable, flexible, secure and cost effective. RFID-based solutions help retailers improve their in-store inventory accuracy and on-shelf availability to provide great shopper experiences while maximising their capital investments. Real-time data capture from various sensor technologies around the store help retailers deliver heightened customer service for improved shopping experiences and loss reductions. RFID-based solutions help retailers improve inventory accuracy at distribution centres, increase efficiencies, reduce shipping errors and support rapid omni-channel delivery. RFID-based solutions help retailers track and trace stock, improving their inventory accuracy, minimising loss and maximising their capital investments. RFID-based solutions help retailers reduce errors, improve efficiencies and deliver seamless omni-channel experiences for their customers. 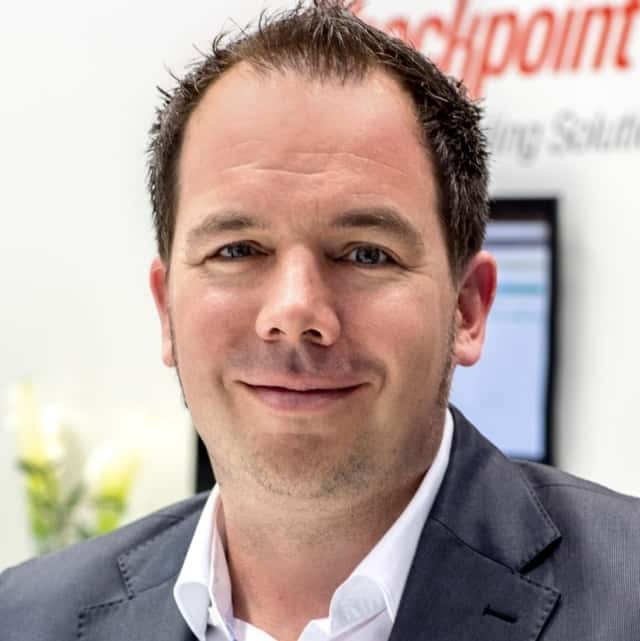 Checkpoint Systems is a global leader in end-to-end solutions enabling retailers to achieve accurate real-time inventory, accelerate the replenishment cycle, prevent out-of-stocks, and reduce theft. 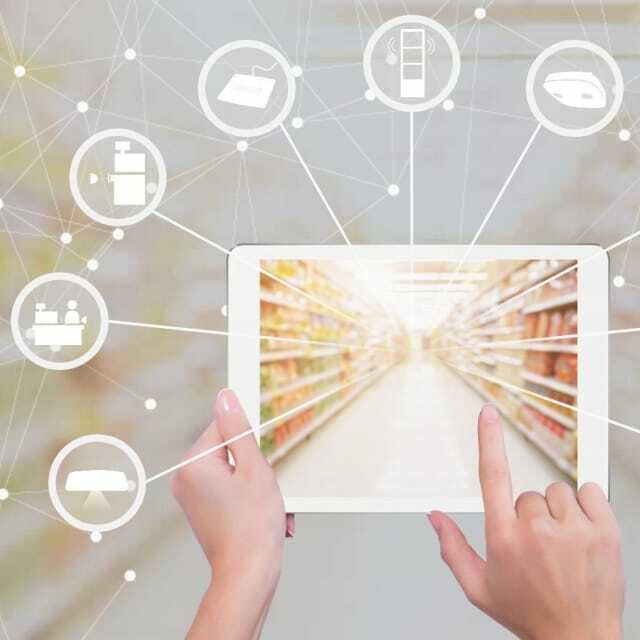 Most Intelligent Retail Solution for Today’s Connected Store Environment Today’s fast-paced retail requires stores to keep up with consumer demand for popular brands and specific fast-moving SKU’s. While many Internet of Things (IoT) platforms promote dashboards and inventory insights, Checkpoint’s HALO platform is uniquely differentiated by its intelligent, action-centric functions. It's all about action. Checkpoint’s global retail customers are profiting from 50 years of retail experience. HALO facilitates maximum efficiency in minimum time by expediting shipping and receiving processes at every step in the supply chain. “HALO auto-generates associate alerts throughout the supply chain and in-store, driving improved productivity in receiving, back stocking and restocking high-demand products to capture maximum sales conversions and highest profit margins,” said Phil Fisher, product manager, HALO. UF-1 will enable retailers to become more flexible in their store designs As physical stores look to push the boundaries of retail design, demand for non-intrusive security systems at the store entrance/exit is growing. Checkpoint Systems, a leading supplier of source to shopper solutions for the global retail industry, has responded with the launch of an underfloor RFID antenna, UF-1. Delivering the same market-leading quality as Checkpoint’s more traditional EAS antennas, but using unique, patented RFID reader technology, the UF-1 system offers a large read range, with the added benefit of harnessing the power of RFID data to improve inventory management within a completely invisible solution. Myer, Australia’s largest department store, identified a key area of opportunity around Apple merchandise in its flagship store in Melbourne. As such it was decided to begin testing the benefits of RFID with a focus on two areas, inventory accuracy and stock take labour costs, with an aim to reduce stock loss and the cost of stock take labour.